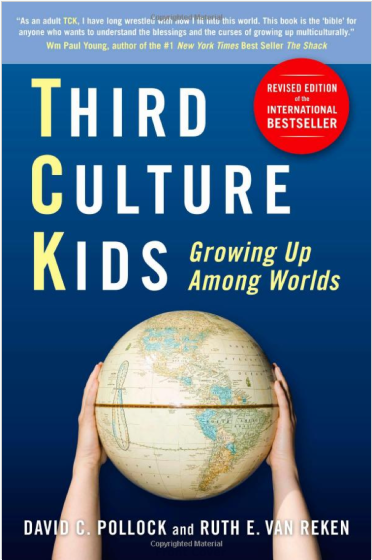 Third Culture Kids (TCKs) are, as the title suggests, children who have grown up among worlds, living in other countries during their formative years. This might not seem like a demographic worthy of a 300 page book, but the expat experience for most of us will have a profound impact on our emotional resilience and world outlook, and children are no exception. Living in a foreign land isn’t just a cultural learning experience, it affects the way you relate to people and places for the rest of your life such as how do TCKs ‘learn’ to deal with the inevitable and often frequent goodbyes to people they have formed relationships with when they move on? With chapters on Rootlessness and Restlessness, and Unresolved Grief, it certainly shed some light on my own experience as a child living overseas, and explained why I never felt any sense of belonging to the place we called home in the UK. This is not a depressing account of expat woes, it’s an interesting insight into the anthropology of Third Culture Kids, what sets them apart from other people, and how these global nomads relate to the world around them.